From the traditionalist point of view, Funakoshi must be considered the father of Japanese karate-do, as it is he who was responsible for making many important innovations to akrate-jutsu and who brought this Okinawan art to the Japanese, and later, the western world. In 1933, Funakoshi changed the concept of ‘kara’, which was originally written with the Chinese character meaning ‘China hand’, buy substituting another character for ‘kara’ signifying ‘void’ or empty. Therefore, the new karate-jutsu developed by Funakoshi meant ’empty’. Two years later, Funakoshi discarded the word ‘jutsu’ in favour of the word ‘do’ (‘the way of’). Thus karate-do (along the lines of ju-do and aiki-do) was born in Japan. The literal meaning is ’empty hand way’, emphasizing the lack of conventional weapons in this fighting art. It was during the American armed forces’ occupation of Japan after World War II that Westerners gained their first sight of karate-do. Many US servicemen found the exercises and drills carried out by the Japanese ex-servicemen fascinating, so much so they wanted to join in and find out what the Japanese were doing. And so these US servicemen became early members of Japanese karate-do. Although there was Japanese resentment towards foreigners in the classes, they had no option but to teach the Westerners (gaijin), fearing that rejection of the new students would result in the closure of classes and an obvious loss of income and therefore the art. Once accepted by the Japanese, the US servicemen were taught the finer points of karate-do, making it possible for their knowledge to be passed on when they were posted back to the United States. The goal of many of the se Japanese instructors was to see their art flourish worldwide, and they could see the benefits of teaching Americans. Indeed, many Americans did set about teaching this strange new art of karate-do upon their return to the United States, and thus karate was introduced to the Americans in the early 1950’s. With Japanese and American trade expanding rapidly after the war, many senior Japanese karate-ka (one who practices karate) visited the United States and some settled there permanently. Today, every style of Japanese karate has a school some-where in the United States, and practitioners numbers many thousands. A Frenchman called Henri Plee is credited with introducing karate to Europe, in 1957. Plee is acknowledged as being the first person to bring a Japanese expert in karate-do to Europe from Japan. The person credited with first bringing karate-do to the United Kingdom was Vernon Bell, who trained under Plee in Paris and later brought over Japanese experts, such as Kanazawa sensei, a Shotokan stylist from Japan. By the mid 1960’s, the demand for karate was so great worldwide that many Japanese karate-ka were invited to numerous countries to teach on a permanent basis, as it was felt that the standard of karate-do needed to be raised. As a result, there are Japanese instructors resident right around the world, especially in the styles of Shotokan, Wado-ryu, Goju-ryu adn Shito-ryu. Today, it seems as if there is not a country in the world that does not have at least one karate club. In the past 50 years, the popularity of this art has attracted millions of people from every walk of life. Funakoshi could never have dreamt that his beloved art would leave his small island of Okinawa and be studied and taught by people of every race. Gichin Funakoshi (1868 – 1957), already acknowledged as the founder of modern-day karate, was reluctant to call his style a ryu (school) – he simply labelled it ‘karate-do’. His teachings in the 1930s differed greatly from his contemporaries in Okinawa and from the way he himself was taught. He had a profound effect on all his students and placed much emphasis upon their mental awareness, alongside physical prowess. The Shotokan that we are familiar with today can be credited more to Funakoshi’s third son, who was affectionately called Giko. He, like Hironori Ohtsuka, founder of the Wado-ryu style of karate, believed in applying karate techniques in actual free fighting. As with all young men of that generation, he wanted to test his skills on someone else. By 1936, whenGichin Funakoshi established a Shotokan school of karate in Tokyo, he was already a 68 year old man. Even though he had a tremendous following, a lot of the burden was now placed on his son. The young Funakoshi’s style of karate was quiet different to that of his father’s. The older Funakoshi had always adopted high standes; those of his son were a lot lower. His son also used full leg extension techniques such as mawashigeri (roundhouse kick) and yoko-geri (sde kick) which he is credited with introducing into karate. The kata of Shotokan are numerous and some even have derivations, which reflect the older Funakoshi’s teachings. Today, Shotokan is the style of karate which is most practised throughout the world. In 1922, Ohtsuka heard of the karate demonstration given by Gichin Funakoshi in Tokyo and was determined to meet him. Throughout this studies of ju jitsu, Ohtsuka always sought out other styles of ju jitsu, trying to visit as many different dojos as possible. Ohtsuka could not contain his excitement at the advent of a completely new, weaponless martial art. He met Funakoshi at his residence, the Meisei Juku, a boarding house for Okinawan students, in the same year. They talked for several hours discussing their interpretations of the martial arts and, but the end of that evening, Funakoshi agreed to accept Ohtsuka as a student at his karate jutsu. Ohtsuka started training with Funakoshi immediately, and his enthusiasm and martial arts background meant that he he quickly grasped the physical techniques that he was being taught. In just over a year, he had studied and knew the movements of every single kata that Funakoshi had taught him. Kata was the only aspect of karate that Funakoshi taught at that time. Throughout this period, Ohtsuka did not cease his training in ju jitsu and began to incorporate this into his karate jutsu. In April 1924, Ohtsuka , aged 31, along with six others was graded to black belt by Funakoshi. He thus became one of the first Japanese black belts in karate-do. The continued devotion of Ohtsuka to ju jitsu and karate-do led to Ohtsuka becoming a Shihan (grand master) of Shindo Yoshin-ryu and Funakoshi’s assistant instructor. He also began to train with other famous martial artists, such as Kenwa Mabuni, founder of the Shito-ryu style, and Choki Motobu, famed as a fighter in karate. As a proficient karate instructor, Ohtsuka began teaching at Tokyo University and his methods began to conflict with Funakoshi’s teachings. Ohtsuka’s brand of karate incorporated his ju jitsu techniques, enabling his students to practise free sparring. This was not to Funakoshi’s liking and, as his concept of karate differed greatly from Ohtsuka’s, Funakoshi felt that actual fighting, jissen, was far too dangerous and would immediately result in the death of one of the participants. On the other hand, Ohtsuka believed that, with specific guidance and rules, the students could use techniques in free fighting without severe injury. Ohtsuka’s departure from Funakoshi was inevitable. The founder of Shito-ryu was Kenwa Mabuni, an Okinawan like Funakoshi, who had as his instructor Kannryo Higoanna, the same man who instructed Chojun Miyagi, the founder of Goju-ryu, as well as Anko Itosu, one of Funakoshi’s instructors. This gave Mabuni a chance to practice naha-te style karate, as well as shuri-te style karate. Therefore, he covered naha, shri and tomari kata. Being a close friend of Miyagi, Mabuni also visited China with him to study the Chinese wushu forms. With such an amassed amount of knowledge, Mabuni created a style based on more than 60 kata (forms) and called it Hanko-ryu. He eventually changed the name to Shito-ryu, which was an amalgamation of the names of two instructors who had taught him: Itosu and Higoanna (Chinese characters). Like Funakoshi, Mabuni traveled to Japan in the late 1920’s and settled in teh southern area of the country near Osaka, where he taught. Goju-ryu, meaning ‘hard-soft school’, was founded by the Okinawan, Chojun Miyagi, one of the few students of the great Kannryo Higoanna, a naha-te karate instructor. Miyagi studied with him until Higoanna’s death in 1915, the travelled to China to continue his studies of various forms of wushu, a Chinese martial art. Upon his return to Okinawa, he merged his wushu teachings (soft) with his naha-te teachings (hard). He took the name’Goju’ from a passage in the Bubishi (a handwritten book passed down from one generation of martial artists to the next). 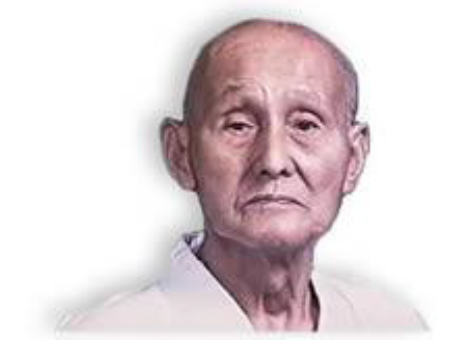 Like other Okinawans who were extremely competent, Miyagi was asked to teach his Goju style in Japan. He gtravelled from the island of Okinawa to Kyoto and other cities in the southern half of Japan, but found himself extremely homesick. Gogen Yamaguchi was one of his last Japanese disciples and, before he returned to Okinawa, Miyagi passed Yamaguchi the mantle, letting him become his senior disciple in Japan. Yamaguchi created a different style of Goju. Gthe fundamentals were still there, but he gave it more of a Japanese influence and we now have two forms of Goju-ryu karate:Goju-ryu and Goju-kai. Yamaguchi placed a great deal of emphasis on internal strength. Both forms of Goju are well represented world wide. ht his Shito-ryu. It is very popular in Japan and now, through competition, very popular on the tournament circuit, both inside and outside of Japan. Kanbun Uechi is considered to be the founder of the Uechi-Ryu style of karate. He trained with the master Chou-tzu-ho in the Fukien province of China from 1897 to 1910 and the style was known and described as Pwangainoon (meaning half hard-half soft). He returned to Okinawa, eventually teaching his skills to a few friends and his son Kanei Uechi who became the Grand Master until his death in 1991 when the style fragmented and the Okinawan Karate-do Association (OKIKUKI) was formed along with the International Uechi-Ryu Karate Federation (IUKF) and the Uechi-Ryu Kenyukai Association (UKA). Unusually, there are only eight kata, the three original Chinese kata : Sanchin, Seisan and Sanseirui and five supplementay kata: Kanshiwa, Konshu, Seichin, Seirui, and Konchin developed to help progression through the Chinese kata.